Do you want to know more about the changes in superannuation? Lots of great content yesterday – really appreciate the advice, time and delivery you gave. Great content yesterday– great documents and explanation for us. Really appreciate all your time and the great advice! We actually enjoy having these meetings. You are very thorough and we understand what you say. Count Financial focuses on partnering with accountants to empower them to secure their clients’ financial future. Count provides accountants with the support and services that enable them to deliver a comprehensive financial planning service offering to you, their clients As a wholly-owned subsidiary of the Commonwealth Bank group of companies, Count can provide its Members and their clients with the benefits that come with the strength of Australia’s leading financial institution. 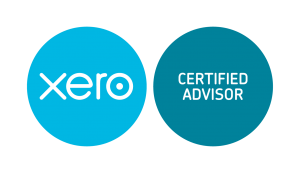 Xero is a cloud-based accounting software connects people with the right numbers anytime, anywhere, on any device. They are focused with providing high level bookkeeping and accounting software for the running of all areas of business. In addition, there are various avilable add on features to faciliate all business needs. Forbes identified Xero as the World’s Most Innovative Growth Company in 2014 and 2015. ClassSuper is the leading provider of cloud-based administration software for SMSFs, with over 20% of all SMSFs administered on Class Super. ClassSuper’s mission is to deliver innovative administration solutions that automate manual workloads, driving high levels of processing efficiency and scalability. More than 120,000 portfolios are administered using Class software by more than 1,000 accounting and administration practices. The Chartered Accountants designation is internationally recognised for its professionalism and quality. At the heart of this reputation is the training that goes into becoming a Chartered Accountant. Training that is renowned for its rigour and quality, producing individuals known for their innovative thinking and superior analytical skills. We support members by providing relevant lifelong learning to help them maintain their expertise. Finconnect is a wholly owned subsidiary of Count Financial Limited (Count), which is part of the Commonwealth Bank Group of Companies. Finconnect provide comprehensive finance solutions, which range from traditional mortgage broking for residential and commercial property, through to the finance of motor vehicles and equipment. The Mortgage & Finance Association of Australia (MFAA) is the peak national body providing service and representation to over 12,000 professional finance brokers (mortgage and finance brokers, mortgage managers and aggregators) to assist them to develop, foster, and promote the mortgage and finance industry in Australia. The Australian Taxation Office is a non-corporate Commonwealth entity within the Treasury portfolio. The ATO is led by Chris Jordan AO, Commissioner of Taxation and Registrar of the Australian Business Register, and is supported by the Executive Committee and various other corporate committees.